Westcott 8" Scissors 3-Pack Just $5.67! Down From $22! You are here: Home / Great Deals / Amazon Deals / Westcott 8″ Scissors 3-Pack Just $5.67! Down From $22! 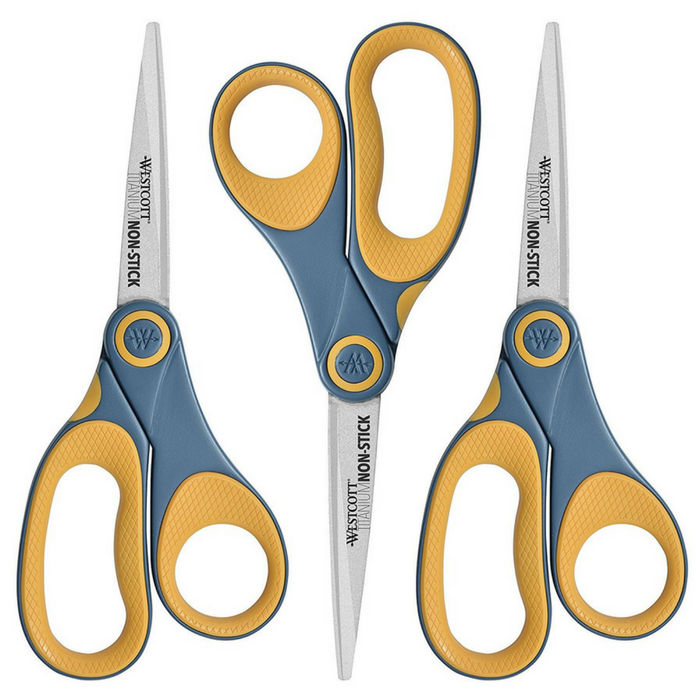 Westcott 8″ Scissors 3-Pack Just $5.67! Down From $22! Amazon is offering this Westcott 8″ Non-Stick Scissors 3-Pack for just $5.67 down from $22.39! Please note that this is an add-on item and will ship with a qualifying order of $25! The very latest technology from Westcott combines titanium with a unique non-stick coating that is permanently bonded to the blades, delivering improved cutting performance. Blades are 6x longer lasting than the previous formula, so blades stay sharper, longer, and are resistant to adhesives such as glue, adhesive tape and Velcro. For left or right hand use.